Are you having problems with your furnace in Hagerstown or Frederick? No matter what type of furnace you have or what’s going on with it, Larry & Sons can help you get it repaired quickly, so you don’t have to worry anymore. We know that temperatures can get extreme in this part of the world, and that’s why we prioritize getting to you quickly, determining what has gone wrong, and working with you to set up a solution for your furnace repair that will work for everyone involved. Do I Need Furnace Repair? We get a lot of calls from people in Hagerstown and Frederick asking about whether they need furnace repair, or whether we can help them with their furnace problems. The truth is that we usually can. However, many homeowners don’t realize that it can be worthwhile to replace their furnace even if it technically still works. All of the following can indicate that you need furnace repair in Hagerstown or Frederick. Your furnace makes unusual noises. It’s not unusual for a furnace to be loud when it’s working, but it shouldn’t make clonking, banging, or other similar noises. If you hear these, it’s time to call in a professional and have your unit looked at. Your “hot” air is lukewarm. If you wave your hand over one of your vents and the air coming out from it isn’t significantly warmer than the air already in your house, then your furnace isn’t working as well as it could. In addition, lukewarm air can’t heat very effectively, so your furnace may run too much and wear out. Your furnace turns off and on rapidly. 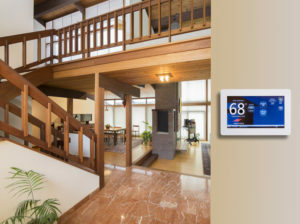 Ideally, your furnace should run for a while, then turn off when your home is heated to the point on your thermostat. Then the furnace should wait while the house cools down. Once it’s cool, the furnace should start up again. If it’s turning off and on all the time, it’s time to have someone check it out. Your furnace doesn’t heat effectively. If you’re cold at home even though your furnace runs all the time, it’s not heating well and you should have it checked out. You have to keep cranking up the thermostat to stay warm. You should be able to set your thermostat and forget it. If you can’t do this in your house, a professional can usually set things to rights. Did you know that regular maintenance can keep your furnace running for a long time? We’ll help you make sure that all the pieces of your furnace are in the best possible shape by testing each of them according to the manufacturer’s specifications. We can also help you get a new furnace in Frederick or Hagerstown, if it’s time for that. 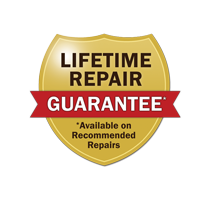 We’ll make sure you get one that comes from a reputable company that we trust, so you can be sure that it will last for years. We’ll oversee installation, too, so you can rest easy that the job was done right! With regular maintenance your furnace will run more efficiently, last longer and will be less likely to break down, all of which saves you money in the long run. So no matter what type of gas or oil furnaces repair and maintenance services you need be sure to give Larry & Sons a call today. Larry & Sons provides top quality heating and HVAC services in Hagerstown, Frederick MD, Middletown, and the surrounding areas.